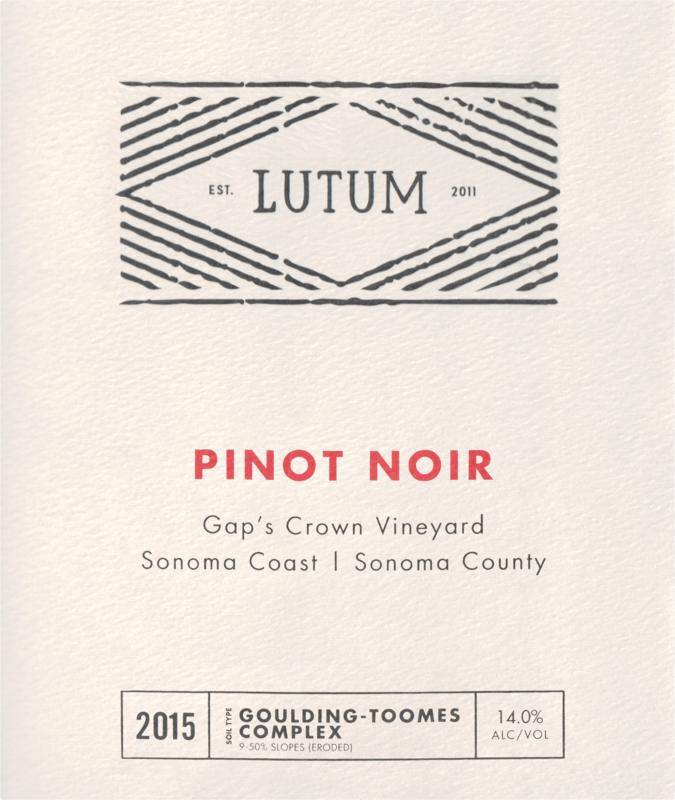 The 2015 Pinot Noir Gap's Crown Vineyard is another magnificent wine from Gavin Chanin and Lutum. Here it is the interplay of ripe, racy fruit and savory overtones that is most compelling. Blood orange, sage, mint and cranberry give the wine its bright, high-toned aromatics. Floral and herbal notes add the closing shades of nuance. What a gorgeous wine this is! The 2015 was done without any stems, but it has plenty of tannin still to shed. The 2015 Pinot Noir Gap's Crown Vineyard has a pale to medium ruby-purple color and nose of warm cranberries, kirsch and cinnamon stick with touches of dusty earth and bay leaves. 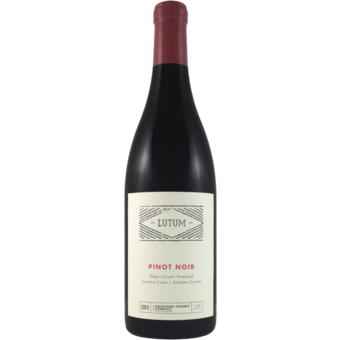 Light to medium-bodied with a gentle, earth-laced palate, it has a well-played frame of chewy tannins and just enough freshness, finishing with plenty of poise.